Master Sergeant Juan E. Negron is the 1st Medal of Honor recipient of the 65th Infantry Regiment. 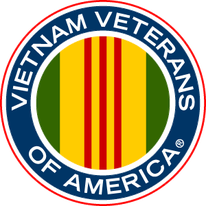 The American Veterans "AMVETS" is a congressionally-chartered veterans service organization. Its mission is: To enhance and safeguard the earned benefits of all American Veterans who have served honorably and to improve the quality of life for them, their families, and the communities where they live through leadership, advocacy and services. 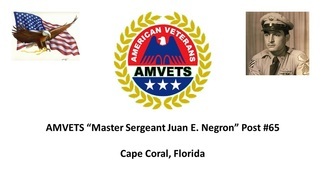 AMVETS Post #65 serves the veterans and veterans' families of Southwest Florida and is a great contributor of the Southwest Florida Military Museum and Library. 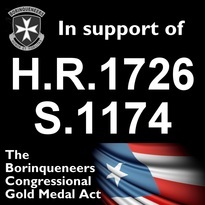 Many thanks to AARP for their strong support of the enactment of Borinqueneers Congressional Gold Medal Act. AARP is a membership organization leading positive social change and delivering value to people age 50 and over through information, advocacy and service. AARP is a nonprofit, nonpartisan organization, with a membership of more than 37 million, that helps people turn their goals and dreams into real possibilities, strengthens communities and fights for the issues that matter most to families such as healthcare, employment security and retirement planning. Many thanks to the Military Order of the Purple Heart for their genuine support of the 65th Infantry Congressional Gold Medal initiative. 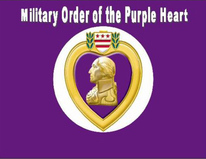 The Military Order of the Purple Heart is a Congressionally Chartered Veterans Service Organization. 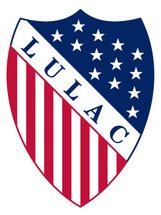 Many thanks to LULAC for their strong support of the 65th Infantry Congressional Gold Medal initiative. 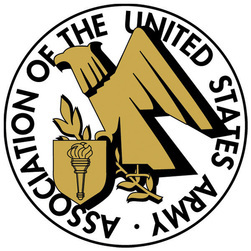 Many thanks to AUSA for their genuine support of the 65th Infantry Congressional Gold Medal initiative. Many thanks to NGAUS for their strong support of the 65th Infantry Congressional Gold Medal initiative. 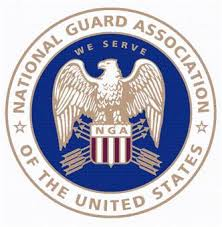 The National Guard Association of the United States is the nation’s oldest military association lobbying solely for the benefit of the National Guard of the United States and educating the public about the Guard’s role and history in the Armed Forces of the United States. It was formed by militia officers in 1878 to obtain better equipment and training by petitioning Congress for more resources. Many thanks to HAPCOA for their genuine support of the 65th Infantry Congressional Gold Medal initiative. Many thanks to the AGIF for their genuine support of the 65th Infantry Congressional Gold Medal initiative. The American G.I. Forum is a Congressionally chartered veterans service and civil rights organization established in 1949. 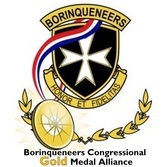 65th Infantry Congressional Gold Medal initiative. Mission: To promote the welfare of blinded veterans so that, notwithstanding their disabilities, they may take their rightful place in the community and work with their fellow citizens toward the creation of a peaceful world. To preserve and strengthen a spirit of fellowship among blinded veterans so that they may give mutual aid and assistance to one another. To maintain and extend the institution of American freedom and encourage loyalty to the Constitution and laws of the United States and of the states in which they reside. The Blinded Veterans Association is a Congressionally Chartered Veterans Service Organization. States National Guard in the U.S. Territory of Puerto Rico. The original 1st Battalion of the 65th Infantry Regiment resides within the Puerto Rico National Guard. The only active duty Army unit to be transferred to the National Guard and thereby preserving its lineage. Many thanks to the Puerto Rico National Guard Adjutant General, Brigadier General Juan J. Medina-Lamela for his letter of support. Several Korean War Veterans Association chapters across the nation are behind the Congressional Gold Medal initiative for the 65th Infantry Regiment. See below letters of support. 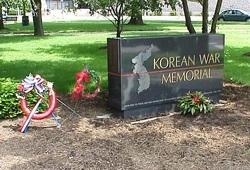 Please contact a Korean War Veterans chapter near you and request a letter of support for the 65th Infantry CGM initiative. Co-Sponsors needed in Congress! Click image to help! Endorse/Support the 65th Infantry CGM Today!!! If you are a Veterans Service Organization (VSO), Non-Profit organization, philanthropic organization, we will greatly value your generous endorsement. 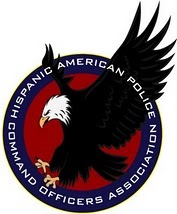 Please contact us to endorse this historic initiative for Latino Veterans! !